Since January I have been collaborating with PDF creating limited edition beermats for there social events. The members eagerly await the next beermat in this unique collection. This collaboration is really fun and it is really important for me to be part of this creative community. I had the best time up in Leeds doing a workshop with Laura. She generously shared her knowledge and approach to textile design; we were encouraged to explore our unique way of drawing which we developed into a repeat fabric design. Every year Native Makers brings together a diverse range of makers from around the country and this year Will and I where part of it. Such a good feeling to engage with the creative community and to show people the process of screen printing on a small scale. Our ethos is we can fit in almost any small space and we work on our own terms because a sense of freedom is at the heart of this project. When we are all inclusive and welcome everyone to have a go. Such a pleasure to have my first solo exhibition at Ocean studios. Colossal is a new improvised mobile mini screen-printing unit run by myself and my teenage son William. Recently, I have developed my practice to fit a smaller scale, and Will works alongside me to make it happen. 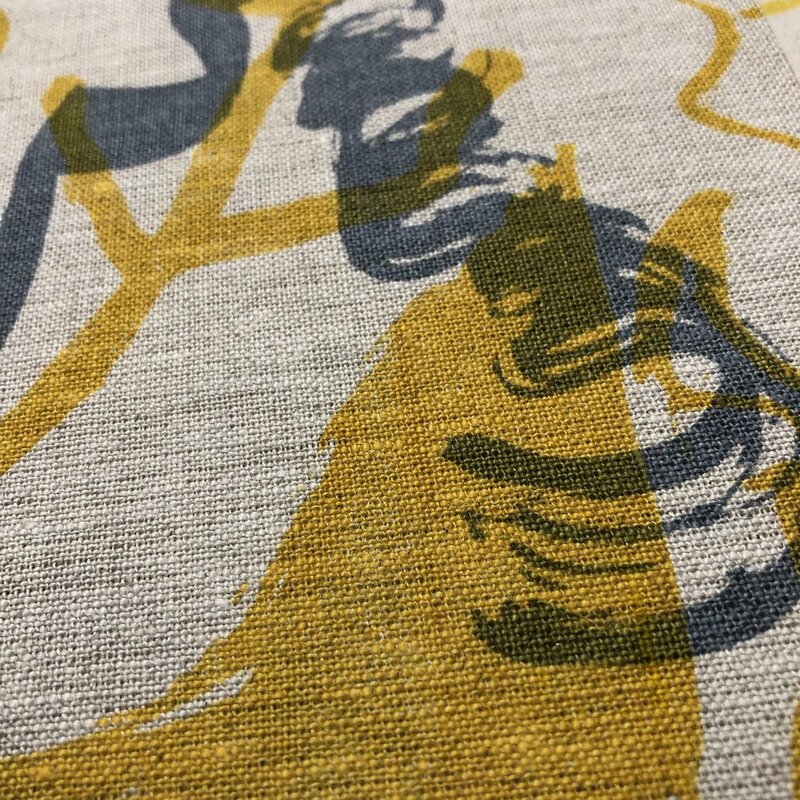 We want to make screenprinting accessible so we can engage with the creative community that surrounds us in a lighthearted, fun and engaging way. Colossal sell brightly coloured geometric fine art prints, cards and bags. During events, they make new prints on their custom-made screen bed showing off the screen printing process to whoever wants to watch or take part. They will offer the opportunity for people to make a simple mini screen print at their stand during set times. Native Makers is at Ocean Studios in the Royal Wiliam Yard on 8-9th December, 2018. Translating my line drawing into clay. Colossal is a new improvised mobile mini screen-printing unit run by myself and my teenage son William. Recently, I have developed my practice to fit a smaller scale, and her Will works alongside me to make it happen. We want to make screenprinting accessible so we can engage with the creative community that surrounds us in a lighthearted, fun and engaging way. Colossal sell brightly coloured geometric fine art prints, cards and bags. During events, they make new prints on their custom-made screen bed showing off the screen printing process to whoever wants to watch or take part. You can find us at Native Makers on 8/9 Dec 2018! come and make something with us.